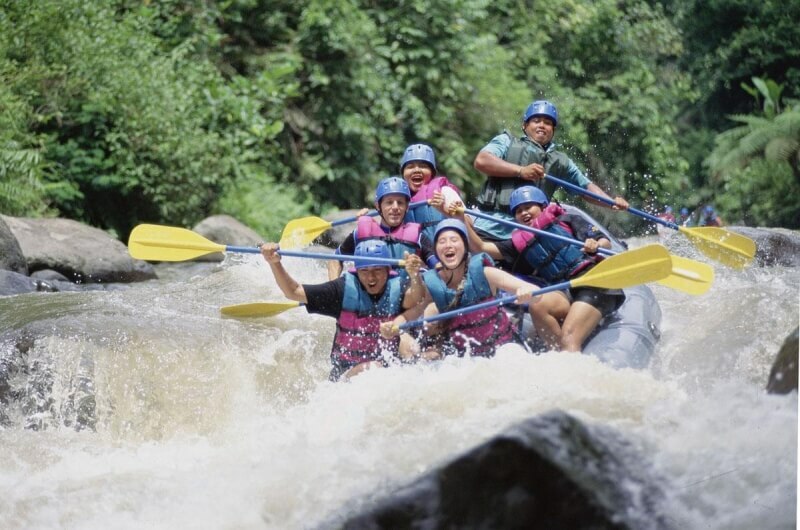 A two hour unforgettable, visually spectacular rafting trip down the Ayung River. This adventure is for guests of all ages. The rafting is a mix of wild excitement, breath taking views and well-guided, informative sightseeing. As you carve through some of Bali's most appealing landscapes, the Ayung River provides a thrill that begins from the moment you push off from the riverbanks. As you switch between Class II and III rapids, you will wind through deep valleys with cascading waterfalls and towering cliffs of prehistoric significance. On the more leisurely stretches through the tropical forests you will see Hindu shrines that are brightly decorated on ceremonial days of prayer.